INQ Mobile, the company behind the 'next generation' of mobile phones, has called in Shine Communications to drive the UK launch of its much-hyped new handset. INQ Mobile has developed a number of mobile devices in close collaboration with several internet giants, including Facebook, Spotify and Foursquare. Hailed by What Mobile as the ‘best integration of Facebook on any smartphone’, INQ revealed its two latest handsets in February this year. The INQ Cloud Touch and INQ Cloud Q are designed for people who use Facebook as their primary means of communication, and deliver a live Facebook experience built around INQ’s Visual Media Feed technology. Shine won the account following a pitch and will report to INQ head of comms Tom Mansbridge. As part of the brief, Shine will work on the launch of the INQ Cloud Touch, targeting music, lifestyle and teen media as well as consumer technology reviews. The account is set to roll into forthcoming product and brand activity in the UK, with the aim of establishing INQ as the leader in transforming the way people communicate and socialise. Last month, INQ announced a collaboration with Foursquare, the location-based social networking website. 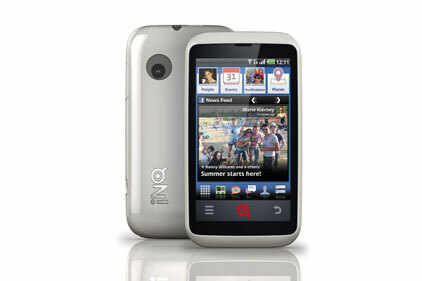 The partnership will allow users on INQ’s handsets to swipe back and forth between Facebook and Foursquare home screens. Founded in London, INQ has offices in the USA, Italy, India, Australia, Canada, China and Singapore.